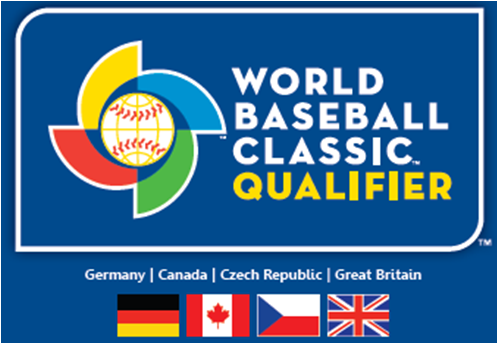 At 18.00 BST on Thursday 20 September, Team GB will get the World Baseball Classic Qualification Pool 2 under way with a game against Canada in Regensburg, Germany. We’ve been waiting for this moment ever since it was announced that the WBC was expanding and Great Britain would be one of the 12 new entrants. The roster has been announced. The team has arrived in camp. The Regensburg ballpark is looking great. Team GB merchandise is available from the MLB shop. And the official WBC Twitter account confirmed on Tuesday that all games will be available online. 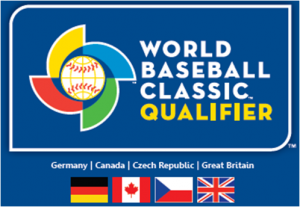 The four-team group includes Great Britain, Germany, Czech Republic and Canada, the latter being the previous WBC entrant who failed to gain a victory in the last tournament (2009) and therefore has to qualify to get back to the main event, which will take place in March next year. The team that wins the group will go on to the main WBC, joining three other qualifiers who will earn their place in similar qualifying tournaments (one which starts on Wednesday in Florida and two more that will be played in November in Panama and Taiwan respectively). The teams will play each other in Regensburg using a modified double elimination format competition. It’s a ‘modified’ double elimination format in the sense that the second pair of games (Games 3 and 4) already have one of the participants set. The standard format is for the winner of Games 1 and 2 to meet in Game 3, with the losers of Games 1 and 2 meeting in Game 4. However, Games 3 and 4 will both take place on Saturday and the organizers understandably wanted the host nation to be playing in the evening (i.e. Game 4). So, the Czech Republic will play in Game 3 and they will face whichever team matched their result from Game 1 (i.e. if the Czechs win their Game 2 against Germany, they will face the winner of Game 1), while the Germans will play in Game 4 and, again, play the team that matched their first (Game 2) result. It’s difficult to predict with any confidence who will come out on top as it’s a wide open tournament. Among the Europeans, the recent European Championship results would rank Germany first, followed by the Czech Republic and then Great Britain. However, Team GB have a significantly stronger roster for the WBC while the Germans and Czechs are predominantly sticking with the same players. Great Britain’s manager Sam Dempster and his coaching staff have the task of helping the new players to gell quickly with the Euro holdovers, whereas their European counterparts should benefit from the greater continuity. Canada’s team has a mixture of pro players and it will be interesting to see how they match up against the European teams. More importantly, anything can happen in such a relatively short tournament. No team proves that better than the Czech Republic. They nearly gained a surprise win over Germany in the recent Euros, before losing to Great Britain in their next game and then pulling off a shock victory against the Netherlands. As in MLB, a strong pitching performance and some timely hitting – or conversely an off-day by your starter and missed chances with runners in scoring position – can decide a single game even if ordinarily there would be a notable difference in talent levels between the two teams. Team GB have as good a shot as any of the four teams of winning the event – despite their disappointing European Championship performance – but Sam Dempster’s team will know the importance of getting off to a good start. An opening loss to Canada would really put the pressure on, but if they can win that game then the group will really open up for them. Italy and the Netherlands have just finished their traditional battle for supremacy in the European Championships – the former defending their title – and they are already assured a place in the main WBC event next year. Hopefully there will be another team there flying the flag for European baseball as well. And you never know, it just might be Team GB. (I think it’s a “modified” double-elimination because a team could lose just once and still win the round. So, for example, if Team GB beats Canada in Game 1 and the winner of Game 2 in either Game 3 or 4, it will play in Game 6 with a record of 2-0. But Game 6 is an elimination game. So if Team GB loses Game 6, it will take second place and not go on to the March tournament–even with just one lose in the qualifier. Thanks DJ. You may well be right on that!